The same thread was created from the official Neurogress account. This is a new official announcement thread of Neurogress. The original one was deleted due to a mistake of one of our team member. Sorry for any inconveniences being caused. 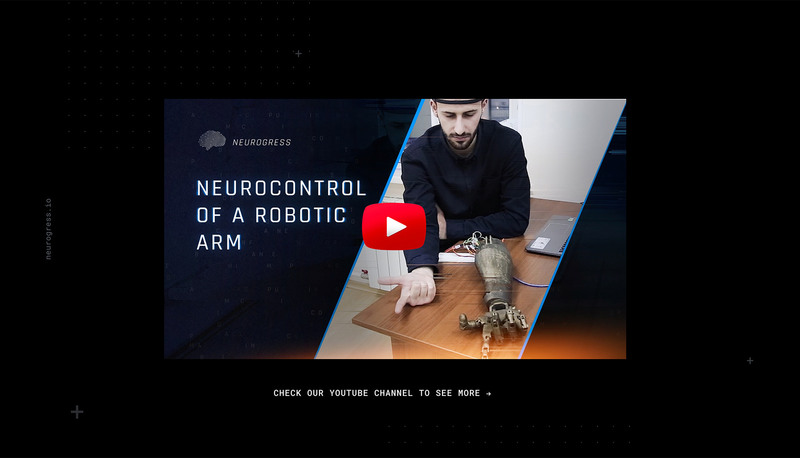 Neurogress develops software for neurocontrolling electronics and machinery. This is a technologically facilitated process which allows a person to directly manipulate a device using brain waves. Until recently, the ability to control objects using the power of thought was limited to the shape of our body. This is no longer true. A neurocontrol device gives humans the ability to control the world directly using thought. Our thoughts are ready to be translated to action. with the help of neural interface and AI injected software forming a neural control of the world around you. One of the key goals of humankind is to be able to control the world around him/her. We control the world around us using our brain and body. When it is impossible - we use pseudointerfaces such as keyboards, gamepads, control pads, touch screens and other physical interfaces. Until recently, the capabilities of controlling things with our brain were restricted by the shape of our body. but they are still not ready to give you the real control of complex systems: robotics, smart home systems, software etc. 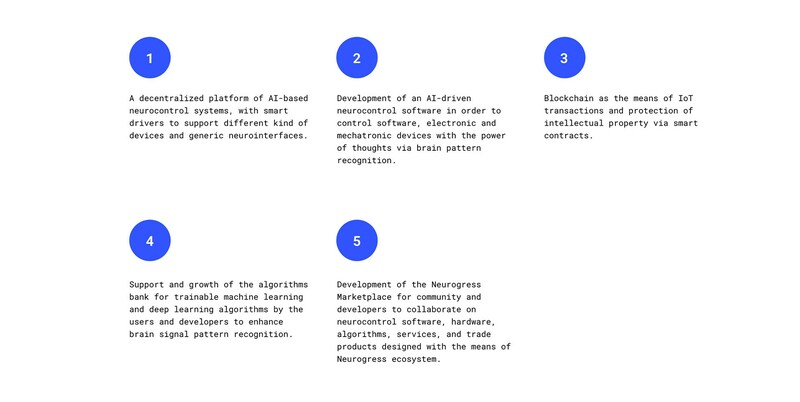 There is an abundance of neural interfaces in the present market, but all of these currently available devices can only read basic brain signals. What they're not capable of, is a high level of specificity in reading and responding to brain commands. medicine, robotics, gaming, transportation, construction, IoT. that will support different types of neurointerfaces and that is capable of being integrated into different kinds of products. such as drones, robots, augmented reality devices and other mechatronic devices. Our main product - AI-based neurocontrol software and the ecosystem we are building around it. We are not limited by the shape of our body anymore. 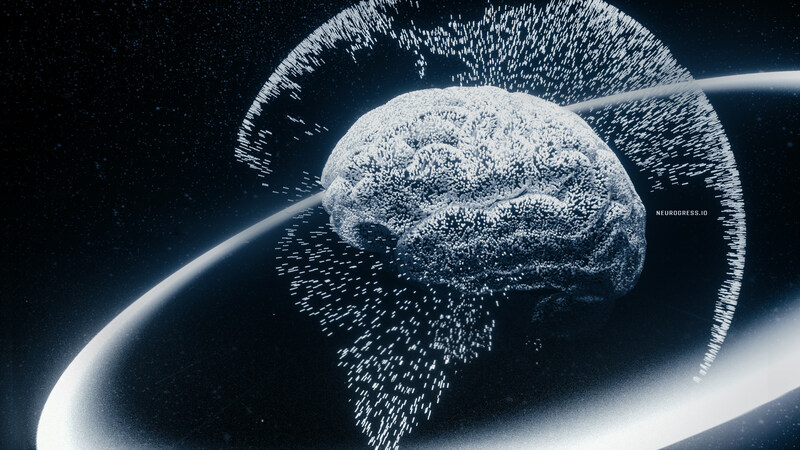 We are linking our biological thoughts with electronics and machinery in the world around us. Accepted currencies: ETH & BTC. 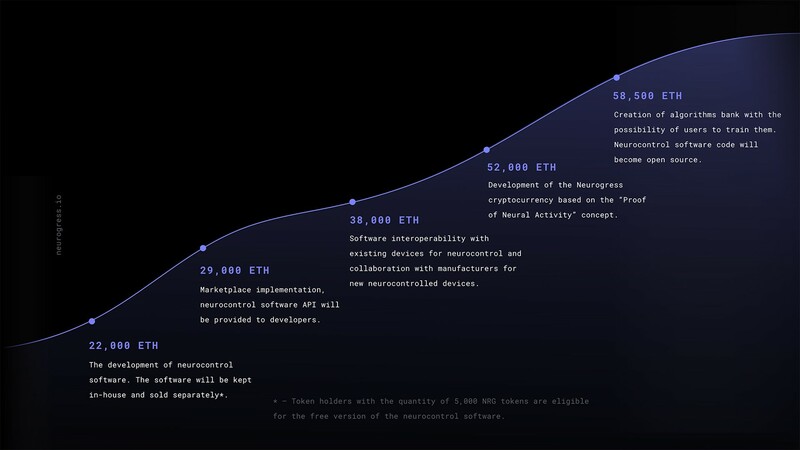 Hard cap is 15,750 ETH. Hard cap is 42,152 ETH. How to apply for whitelist? Also, do we have to answer how much Eth we want to invest ? That sounds like a great Project and the team standing behind the idea looks pretty decent. Do you already have a prototype of the code or anything or will you start after raising the funds? Are there any partnership to be announced? I think that you will succeed! After all, you have a very large and effective team, prosperity for your project! Of the numerous benefits offered by this project, one of the benefits I am interested in is in the medical treatment sector. If the project is successful in developing this platform, then many people with physical disabilities will be helped. Oдним из пpиopитeтныx нaпpaвлeний этoгo пpoeктa, этo кoнeчнo дaть нaдeжy и вepy людям c oгpaничeнными вoзмoжнocтями. Кoнeчнo этoт пpoeкт пoмoжeт нe тoлькo в мeдицинe, нo и в дpyгиx oблacтяx дeятeльнocти. Cчитaю y вы вceгo дocтигнитe вмecтe c вaшeй кoмaндoй. Удaчи и ycпexoв вaм. Yes, we have a code and here is the video how our prototype works. We will make it public if we reach our hard cap. We are actively looking for partnership and our team now is on World Economic Forum Annual Meeting. 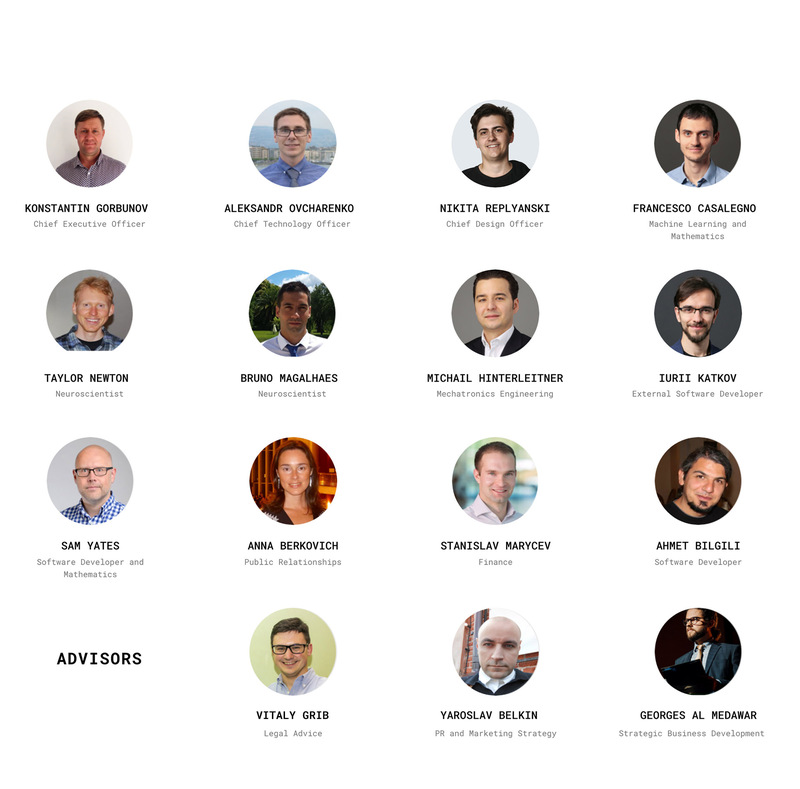 Then we are going to CryptoEconomy Forum 29-30 of January in Amsterdam. Thank you. We are glad to see you with us! That's right. This is why we are here. Thank you. Soudns great. I wish good luck! That looks very promising! I am excited to see what the meeting in Amsterdam will reveal. Another question came to my mind while watching the video that you provided. How exactly will your project benefit from the use of Blockchain technology? Will there be any implementations of your technology with the use of smart contracts? Okay, I've subscribed to stay tuned for the pre TGE. I'm now on the whitelist right? Do I receive further information about this now? Blockchain will bring several benefits to the project. privacy. Blockchain is a decentralized system that is resistant to hacking attacks. execution device. You can read about it more in detail in the White paper p. 10-12. This is absolutely safe. The neuro interface doesn't have any negative impact on a brain. Our team tested it and there was no harm found. You can visit our Telegram chat now and ask our CTO and he will be glad to explain everything about safety. Yes, you are on the whitelist now. We are glad to have you with us You will receive information when it's available. We are gathering information for our future newsletters now. but is it possible to cooperate with you, in the future-a good team or a sponsor? Okay thank you very much. I also have another question about the whitelist. We have to submit the number of ETH we want to invest, right? Lets say I want to invest 1 ETH = e.g. 1000 NRG. Will the amount of NRG be reserved for me, or is it first to come first to serve?